Koenigsegg, the Swedish automaker, has introduced its latest vehicle, Koenigsegg One:1, which is considered to be the fastest car of the world. The stunning machine is priced at £1.67 million, possessing the ability to hit an unbelievable 257 mph. This extra-ordinary vehicle possesses a 5 liter V8 engine which can produce 1,322 horsepower, much more than any other competitor. Hennessey Venom GT, which broke the world record recently, can achieve a maximum speed of 270 mph; however, it was not recognized by the Guinness Book of World Records. Another extremely fast car, Bugatti Veyron Super Sport can hit the top speed of 268 mph. 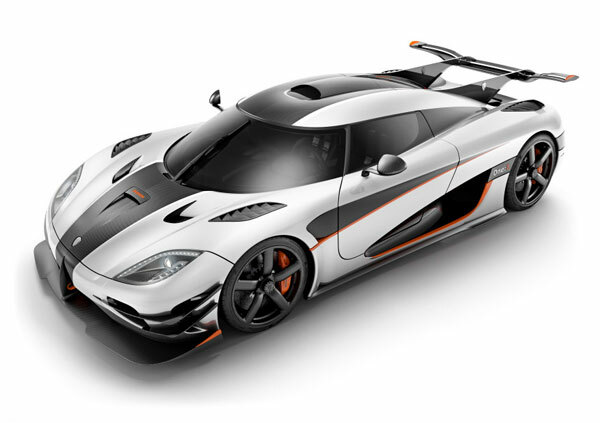 Koenigsegg One:1 can go from zero to 250 mph in merely 20 seconds, which is absolutely mind-blowing. The name of the car, one:1, represents its power-to-weight ratio. The One:1 is not all about speed as it possess tremendous braking system as well. The car can come to a standstill from maximum speed in just 10 seconds, which is likely to be a record in itself. The super coupe was unveiled for the first time during the 2014 Geneva Motor Show; however, you will be disappointed to know that you cannot buy it. The automaker has already sold the five models.